Welcome to SkySentry! National leader in the advancement of lighter-than-air vehicles, payloads and concepts. SkySentry was founded in 2003 to investigate and capitalize on the unique environmental characteristics of the stratosphere for communications, surveillance, and related missions. Since inception, the Company has adhered to a key guiding principle of providing Best Value and each day pursues its motto of “Credibility through Performance!” The Company has grown considerably in both capabilities and experience, now offering solutions to a wide variety of technical challenges within the lighter-than-air industry. 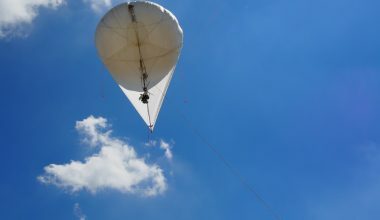 Indeed, SkySentry has evolved from focusing solely on high altitude to encompass aerostats for numerous applications. 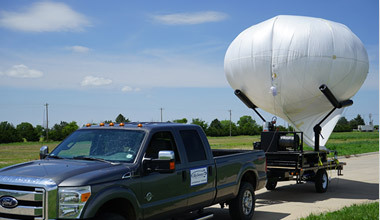 Our aerostat systems are designed to be deployed and set up quickly, for land or maritime applications, with a variety of payloads to meet disparate needs. We support these systems worldwide, with operational crews, spare parts, training and technical support, as desired. A Service-disabled, Veteran-owned Small Business, SkySentry has numerous contracting relationships to support the government, academic, industrial, and private customers. 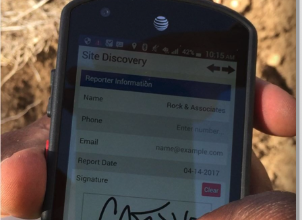 The Company is experienced with contract management and pleased to either prime or subcontract with partners on mutual business pursuits. Our contracting processes and instruments for commercial customers are thorough and efficient. Please let us know what you have in mind. US Army Space and Missile Defense Command, leading their aerostat program for years!